A rustic-looking urban setting composed of tranquil ponds with white ducks, birds chirping inside dense tree foliage, and butterflies fluttering in the air, Zorba is a place specially designed to help seekers find deep peace and contentedness by escaping the monotony of daily life. 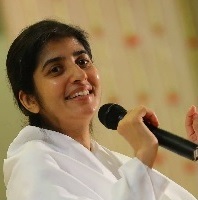 The festival will begin with a series of engrossing workshops, followed by a keynote address by Sister BK Shivani. The second and third day will include workshops that are designed to calm your senses and help you look at life with a new perspective. So, book your seats now. 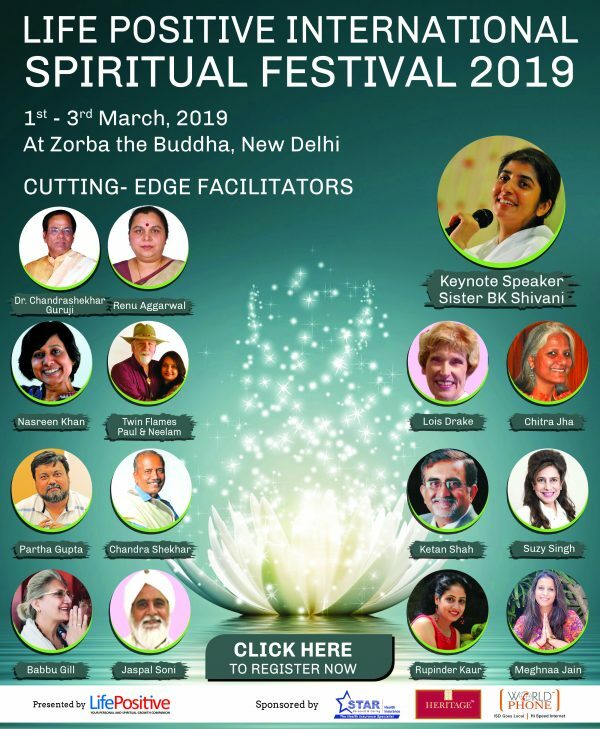 Sister BK Shivani, a globally renowned spiritual guide and mentor, has delighted the readers of Life Positive through her constant presence at the Delhi edition of Life Positive spiritual festivals. An epitome of calmness, Sister Shivani will address the delegates on the first day of the event and fill their hearts with positivity. 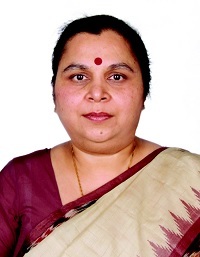 A noted spiritual and Raja Yoga meditation teacher, Sr Shivani serves as a global representative of Prajapita Brahma KumarisIshwariya Vishwa Vidyalaya and has travelled globally, conducting motivational courses through public seminars and television programmes. 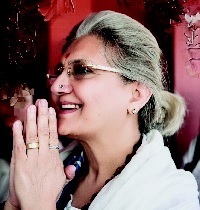 Honoured with ASSOCHAM’s Women of the Decade Achievers Award (2014) for“excellence in empowering spiritual consciousness,” Sister Shivani has been successfully shaping the lives of people by conducting workshops, seminars, and TV programmes on salient topics like introspection, relationships, religion, leadership, and techniques of Raja Yoga meditation that have brought her immense praise and honour. We are on a journey where life will present us both good and bad days. When the clouds of sufferings, difficulties, and sorrows overcast our life, we feel overwhelmed or powerless. But by taking positive baby steps, we can overcome our debilitating life situation. 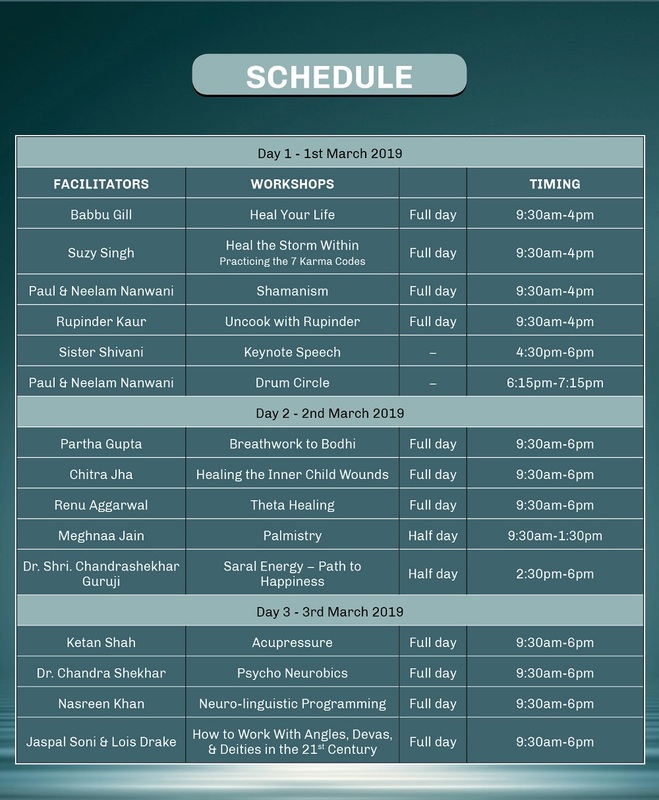 Heal Your Life facilitator Babbu Gill will gently lead participants from pain to healing and empowerment, using the module created by the late Louise L Hay, world-famous author of You Can Heal Your Life. A courageous lady, who has seen many of life’s upheavals, Babbu Gill, an internationally certified and licenced global Heal Your Life teacher and mentor, walks the path of loveby radiating peace and calm, and nurturing and nourishing her clients. In her workshop, Gill will help the delegates heal themselves by enabling them to connect with their inner Self and move beyond their limiting beliefs and thinking patterns. In her loving presence, people blossom emotionally, mentally, and physically. She will employ the teachings and wisdom gained from various Masters and teachers she has trained with worldwide and her own meditative insights, to help people recognise their magnificence and expand their consciousness. She believes love is the greatest healer and forgiveness, the only pathway to prosperity in any given area of life. Come, let’s fall in love with ourselves again. We often encounter unfortunate incidents at some point in our lives that ruin us to the core. We end up feeling lonely, bewildered,and abandoned as the storm within us continues to escalate. If you are one such sufferer, then your wait is over now. Suzy Singh, a Transpersonal Therapist, Emotional Well being and Karma Coach, Relationship Counsellor, and Energy Healer will help you restore your lost energy in her paradigm-shifting workshop—Heal the Storm Within. With her gentle guidance, you will be able to regulate difficult emotions and relieve long-standing stress. After spending 18 years in corporate India, Suzy gave up a fulfilling career in advertising in 1998 to focus on her passion and spiritual calling of helping heal personal and collective consciousness. 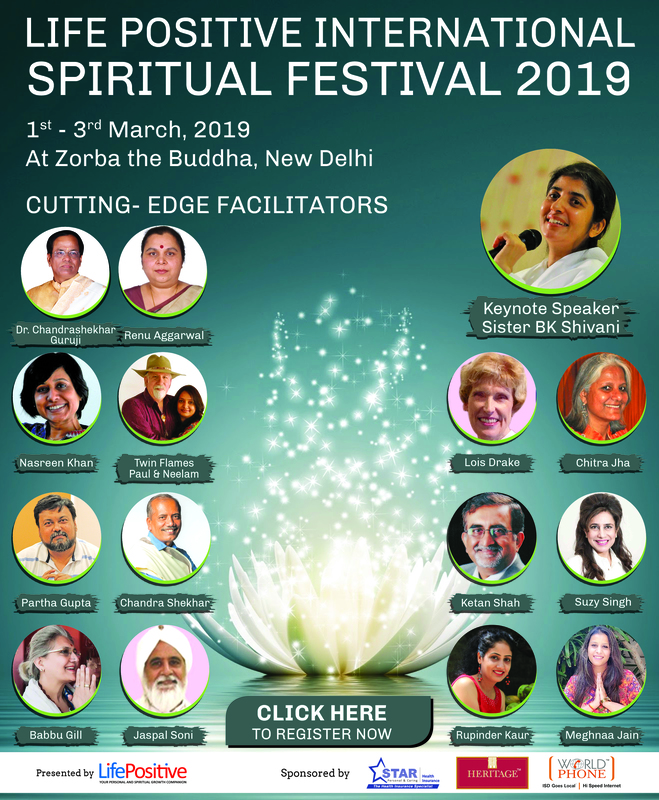 A Bharat Excellence Award winner for outstanding and extraordinary achievement in the field of alternative healing, Suzy will focus on explaining the causes of mental and emotional imbalances and share tools that can undo these imbalances. This workshop will also provide great opportunity to undergo sessions that will help one embrace personal responsibility and raise one’s consciousness. Get ready to surprise your loved ones with healthy, raw recipes that are as tasty as cooked food. Shamanism is an ancient collection of traditions based on the act of voluntarily accessing and connecting to non-ordinary states—or spirit realms—for wisdom and healing. The word ‘shaman’ comes from the Siberian Tungus tribe, which means a ‘spiritual healer,’or, more cleverly, ‘one who sees in the dark.’ Shamans access the spirit realm for the purpose of individual and communal growth and healing. They do this by restoring and removing energetic pathways, recovering soul parts, and communicating with non-physical helpers to discover the spiritual aspects of illness and find answers to life’s seemingly impossible questions. This reality-penetrating ability marks them as the world’s very first doctors, storytellers, mystics, and even psychotherapists. 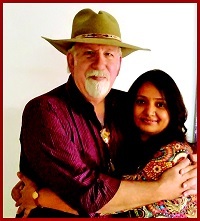 Paul Hinsberger and Neelam Nanwani are international shamanic counsellors and teachers. They conduct workshops and retreats based on the traditional ways and teachings of indigenous shamanic cultures. In their workshop, Paul and Neelam will teach about Shamanic Breathwork from the Huna Tradition, the nature connection, trees and stones, major principles of shamanic practises, signs, symbols, and synchronicities and also conduct a sacred drum circle for the benefit of the participants. We all know that breathing is the most fundamental process of a living being. But are we just breathing? Or are we really breathing right? Each breath is a communication with life, and we need to master the grammar of this communication. Partha Gupta, after spending a good part of the last 12 years in the august company of the Himalayan sages, has created his latest e-workshop Breath Inside: Breathing like a child. 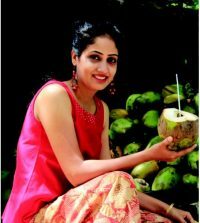 Bodhi is Partha’s personal work with sincere seekers, homemakers, high-flying executives, entrepreneurs, people in the entertainment industry, sportsmen, and yoga trainers. In his workshop, ‘From Breath to Bodhi,’ Partha will impart techniques, tools, and insights to enable people to breathe correctly and meditate effortlessly. This will help seekers manifest everything they desire. Partha believes that “That which we seek, exists in a certain breath frequency.When the frequency of our breath matches that of what we are seeking, it materialises.” His techniques will help the participants harness the power and energy of breath to design a life of their dreams. After all, you are magical at the centre of your being. What is the Inner Child? The Inner Child is a collection of our childhood hurts, fears, and anger. It carries our emotional baggage, which continues to exert control over us, all our lives, until we learn to acknowledge, accept, and release this baggage. Now, how would I know that my Inner Child is wounded? If you feel emotionally wounded, an Inner Child inhabits your adult body. If there is a hurt, angry, fearful little boy or girl running the show inside you, your Inner Child is wounded. If you feel like a little boy or girl who has been sent out into the world to do an adult’s job, your Inner Child is wounded. If you look for parental supervision, protection, structure, and support even as an adult, your Inner Child is wounded. If you are only a chronological adult and not a psychological adult, your Inner Child is wounded. If you constantly want others to fulfil your need for love and approval, your Inner Child is wounded. An author and a self-empowerment coach, Chitra Jha, in her workshop, will offer the tools that will help you become a conscious adult who can take very good care of your own Inner Child and who will then stop looking at parents— both real and surrogate—for approval. Every aspect of our life, be it health, relationship, or money is influenced by our energy and the energy of our environment. A stress-free environment, harmonious relationships with our self, our body, and everyone around us supports us in creating abundance in every area of our life. Although achieving all this seems difficult,it is not impossible. The Theta brainwave is a frequency which makes all this possible, provided you know how to access it. The workshop The Next Step introduces you to the technique of ThetaHealing. It is designed to help you achieve this state of abundance, using the Theta brainwave. In this workshop, facilitator Renu Aggarwal will train you to reach the Theta state of the mind. She will demonstrate the impact of emotions on our health and teach ways to destroy any negative emotion as soon as it gets created, thereby removing its impact from the body. The workshop also includes certain exercises of ThetaHealing, which can be practised on one’s own, to feel a positive shift in life. 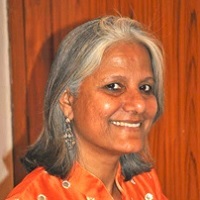 A Cost and Management Accountant from the Chartered Institute of Management Accountants, London, Renu Aggarwal has learnt ThetaHealing from ViannaStibal and is a Certificate of Science holder and Master ThetaHealer from ThetaHealing Institute of Knowledge (Think), U.S.A.
Palmistry has been described as a divination in many ancient scripts. It has been used for ages to predict the future and discover hidden personality traits. But not everybody gets to learn it from a trained expert, as most people rely on books to gain knowledge of palmistry. However, here is your opportunity to know what’s written in your palms from a learned Master. 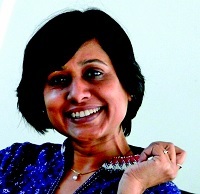 Meghnaa Jain, born and brought up in Delhi, is a consultant and a teacher by profession. She has always had a keen interest in Occult Sciences since childhood. 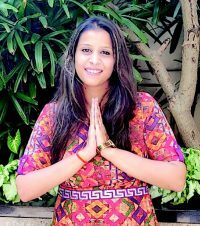 An interior designer by qualification, she is also a vastu consultant, tarot card reader, angel card reader, numerologist, palmist and a counselor. She feels lucky that her knowledge of these divine fields has helped her in motivating, guiding, healing and uplifting her clients. She derives satisfaction from the fact that her knowledge has helped people in achieving emotional peace and the strength to fight the difficulties they face. The topics covered by her in her workshop on palmistry are: What is palmistry? Myth and actual facts, introduction to hand and fingers, different types of finger prints, introduction to major lines, common combinations of the lines and remedies. Everything in this Universe is surrounded and connected by energy—energy that governs the functioning of this entire cosmos. Understanding it makes you more aware of your thoughts, speech, and actions. If utilised in the right direction, one can manifest everything through the power of this energy. Saral Energy is a unique and simple way to harness the cosmic energy of the Universe to overcome life’s challenges and lead a happy life. 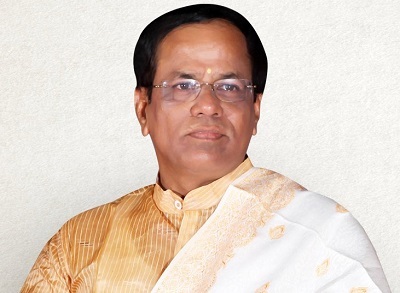 Dr Shri Chandrashekhar Guruji, the founder of this technique, is a humanitarian, philanthropist, and visionary, who has committed himself to removing human suffering and creating a happy and helping society. He has created a unique and simple path of Saral Energy, through which one can tune in to the cosmic energy instantaneously to overcome suffering and lead a blissful life. His Saral Sutras of being truthful, respectful, grateful, helpful, and blissful form the foundation of his teachings. In his workshop, he will teach how, by embracing Saral Energy and his sutras, we can move from body consciousness to soul consciousness. Over five million plus followers have experienced his science, teachings, and philosophy. Let’s be next. Our body is the most self-sufficient entity in the entire Universe, but our dependence on external forces makes us ignore its miraculous powers. Ketan Shah, India’s most renowned and competent acupressure healer and teacher, in his workshop on acupressure, aims to wake you up to the immense healing prowess in your hands. Mr Shah has emerged as one of India’s most renowned and competent acupressure healers and teachers. His knowledge and skills have come to the rescue of kidney patients, asthma patients, those suffering from Parkinson’s disease, and even cancer patients. The more difficult the case, the more enthusiastically he takes up the challenge. His unassuming nature, formidable knowledge, and easy approachability have made him one of the most popular workshop facilitators in the country. Mr Shah has employed years of accumulated knowledge to give you all that you need to get well and stay well. He has also written a book, Acupressure for Total Wellness, which is hugely in demand by the readers. In this workshop, you learn how to press your fingers long enough on certain points on your body to heal your organs.. The power of the mind, memory, and healing exists within each one of us. We only need to harness our power of attention and intention to develop it. This is a very simple process. God has gifted us with a supercomputer made up of intellect, mind, and healthy memories. But, today, this human supercomputer is infected by viruses of stress, fear, anger, lust, greed, and depression. The human being is incapable of handling their own supercomputer. But once you know how to work on this supercomputer, you can gain mastery over your life. A living example of self-healing, Dr B K Chandra Shekhar is a Psycho Neurobics specialist, who survived two major life-threatening diseases—cancer and hepatitis C—through the practical application of Psycho Neurobics and RajaYoga. 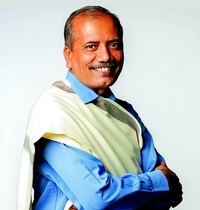 A multiple record holder and an international Mind and Memory Trainer, Dr Chandra Shekhar is a Guinness World Record holder in the Speech category and also features in the Asia Book of Records and India Book of Records. In his experiential workshop, Dr Chandrashekhar will empower you with techniques to increase your mind power and increase its usage percentage, much like Einstein. You’ll also learn to develop healing power, cure lifestyle diseases through Psycho Neurobics, and experience Sigfa healing. Neuro-linguistic Programming (NLP), also called the new technology of achievement, is already being used across the world by CEOs, entrepreneurs, sports persons, creative artists, homemakers, and many others who, like you, are looking towards leading a much higher quality of life. NLP explores the relationship between how we think (neuro), how we communicate (linguistic) and the patterns (programming) that run in our lives. In this workshop, you will learn and practice simple, effective, and easy-to-use NLP techniques that can help you get rid of memories and habits that hold you back. Whatever your area of work and goals, this training will help you tap your full potential and enjoy your life’s journey. By the end of this experiential workshop, you will see yourself becoming a more positive, energised, and ‘in-control’ person with greater awareness of your thoughts and thought patterns. You will learn to quickly build a rapport with a variety of people and be able to communicate and convince them more powerfully. The workshop will also help you enhance the quality of your relationships, improve your financial health, teach you to use your body language with awareness and impact, and create for yourself a plan for ongoing growth and success. 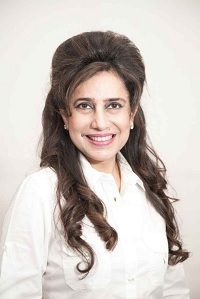 A post graduate in management, master practitioner of NLP, Gestalt Therapist, and an Executive and Life Coach, Nasreen Khan has more than 27 years of professional experience. Currently with Catalysts Advisory Coaching and Training, Nasreen works with both individuals and organisations in her roles as a coach, consultant, and training facilitator. She is on the regular panel of Trainers for NHRDN (National HRD Network), AIMA (All India Management Association) and the University of Chicago amongst others and has worked with some of the best-known names in the industry. 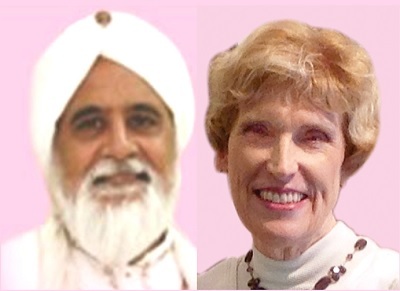 In this workshop, facilitators Jaspal S Soni and Lois E Drake will assist the delegates in reconnecting with angelic beings that come to your help whenever you are in distress. They will brief us on our divine origin and explain about the three divine realms, out of which one is Planet Earth. The workshop will focus on how to work with angels, spirit guides, and heavenly friends. With the help of the facilitators, the delegates would be able to recognise their angel experiences as well as experiences with other heavenly helpers. They will also learn about the seven main rays of God’s light and the angels, nature spirits, and deities who reside in them. The usage of the violet flame in your work with heavenly helpers will also be a part of this workshop. Lois E Drake is a writer and retreat-presenter who has studied the teachings of the ascended masters for over 30 years. She travels the world, offering seminars in the US, India, Russia, South America, England, and Australia. Her novel, Issa, The Greatest Story Never Told, is historical fiction based on the life of Jesus Christ in India in his youth. She lives in the Los Angeles area of Southern California, USA. 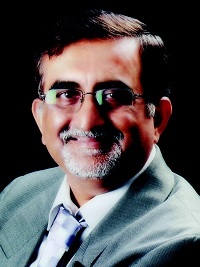 Jaspal S Soni is the President of Chananda Cultural Society, an NGO based in New Delhi. He has studied the teachings of the ascended masters for over 40 years. He did his advanced education in the USA in engineering and worked as a professional environmental engineer for many years. 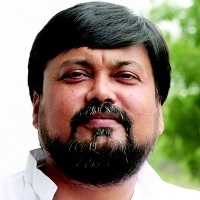 After retirement, he moved back to New Delhi in 2011. He shares the practical tools of the ascended masters’ teachings in our daily lives through spiritual workshops and meetings. The International Spiritual Festival is a 3 day event of holistic wellness, spiritual growth, and conscious and healthy living. Please join us as we breathe and meet one another on this path of discovery and awakening.